Hurry on over to Amazon where you can score this GE 2-Pack 6-Outlet Power Strip, 2ft Cord, Wall Mount, Integrated Circuit Breaker for $9.55. That is just $4.78/each shipped! Maximize your outlets using the six-outlet General Purpose Power Strip from GE. 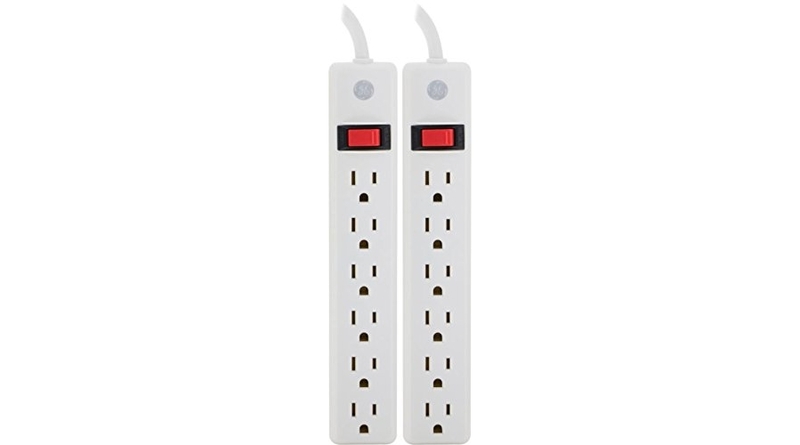 This general purpose power strip features six standard outlets and an integrated circuit breaker for overload protection that will interrupt power in the event of a dangerous power surge. The power strip is equipped with a two-foot power cord for added versatility and key holes slots for convenient mounting throughout your home.